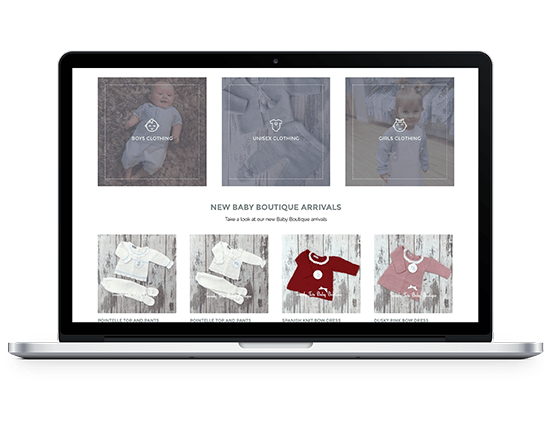 Baby Boutique Website Design - Want a website for your baby boutique? 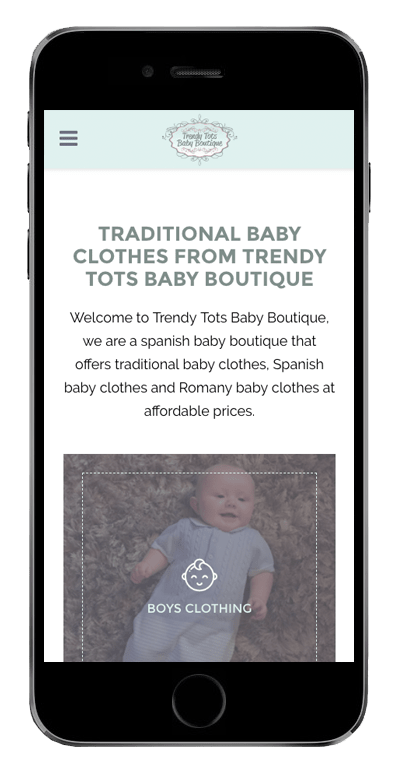 Trendy Tots Baby Boutique already had an established website before coming to us that was already making sales and had some traffic. However they felt the design wasn’t as good as it could be and they needed help with search engine marketing, this is where we helped. Firstly we took a look at what Trendy Tot’s competitors were doing right, wrong and formulated a plan to create a professional looking website with a focus on the beautiful products that were being sold. We made the new website first look trustworthy, professional and easy to navigate. We also redesigned the checkout process and tested little features over the coming months to improve the websites conversion rate (rate of which visitors became customers). We were able to improve conversions considerably and were also able to increase the amount of items people bought by testing various features on the site. 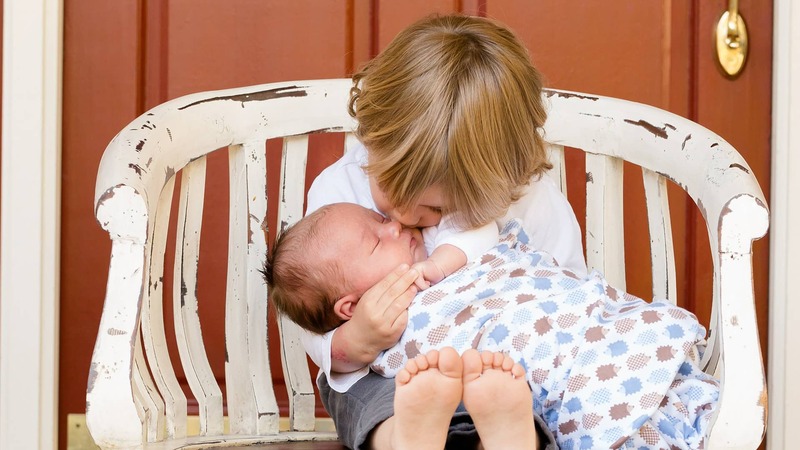 Trendy Tots Baby Boutique can be found on the first page of Google for multiple high value keyword searches. We continue to work with Trendy Tots to increase their search visibility while providing a great ROI. Trendy Tots were getting most of their website traffic from social media marketing and very little to non existent from the search engines. With our SEO services we have been able to match the social media traffic and some months generate more traffic. Over the next few months we will aim to make organic traffic the number 1 source of traffic for Trendy Tots. Our website design, development and digital marketing services have allowed Trendy Tots to shoot up the search engine results pages which has increased traffic and sales. 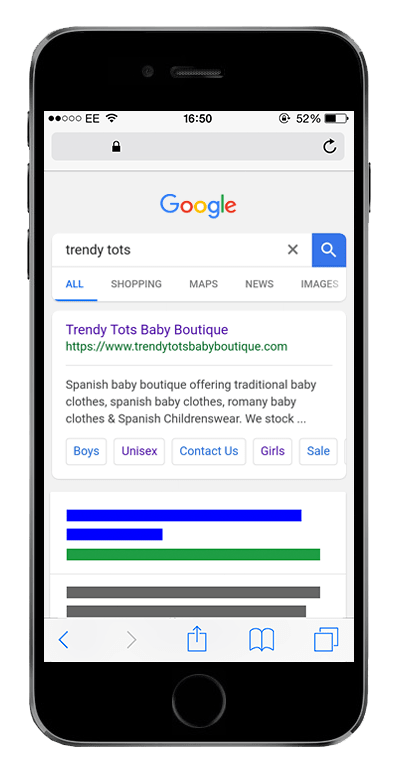 Trendy Tots ranks on Google for multiple keywords and has let a lot of their competitors in their dust.